LOS ANGELES – The Los Angeles Kings have agreed to terms on a one-year contract with unrestricted free agent forward Patrick Bjorkstrand, Kings President/General Manager Dean Lombardi announced today. The 24-year-old Bjorkstrand (born July 1, 1992) participated in last week’s Kings Development Camp at Toyota Sports Center. He’s a 6-0, 192-pound native of Herning, Denmark, who last season played with Medvescak Zagreb, a Kontinental Hockey League team (KHL) based in Zagreb, Croatia. In 57 regular season games last season, he had 13 goals and 22 points (13-9=22, 12 PIM). Bjorkstrand also played with Medvescak Zagreb in 2014-15 (55 GP, 7-8=15, 2 PIM) and 2013-14 (54 GP, 4-9=13, 14 PIM). He has 50 points (24-26=50, 28 PIM) in 166 career regular season games in the KHL. 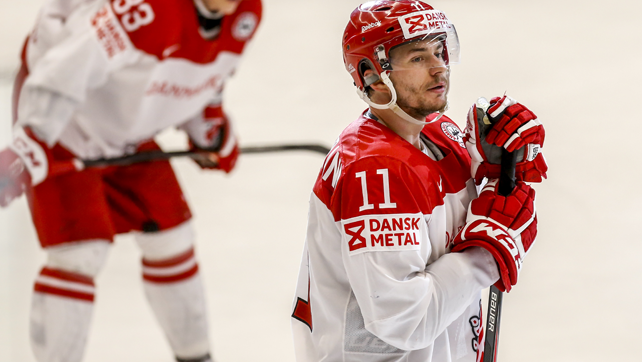 Bjorkstrand has played for his native Denmark in numerous International tournaments, including the last four World Championships (2016, 2015, 2014 and 2013) where he has totaled six points (2-4=6, 10 PIM) in 29 total games over the four tournaments. He also skated for Denmark at the 2012 U20 World Junior Championships (6 GP, 1-5=6, 4 PIM), the 2011 and 2010 U20/Div 1 World Junior Championships, and the 2010 and 2009 U18/Div 1 World Junior Championships.